The beloved classic about friendship—a Newbery Honor Book! Frog and Toad are best friends—they do everything together. When Toad admires the flowers in Frog's garden, Frog gives him seeds to grow a garden of his own. When Toad bakes cookies, Frog helps him eat them. And when both Frog and Toad are scared, they are brave together. School Library Journal called this story collection from Arnold Lobel "a masterpiece of child-styled humor and sensitivity." 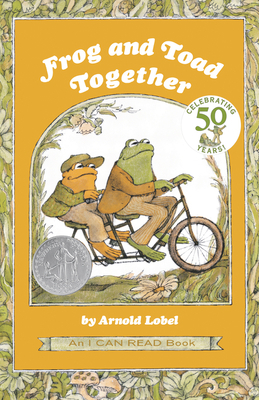 Winner of the Newbery Honor award, Frog and Toad Together is a Level Two I Can Read book, geared for kids who read on their own but still need a little help.